We check over 450 stores daily and we last saw this product for $45 at Century 21. 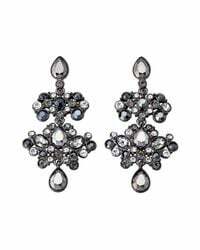 Hematite-tone finish, cluster crystal embellishments, drop construction. Post back closure. 2" length. 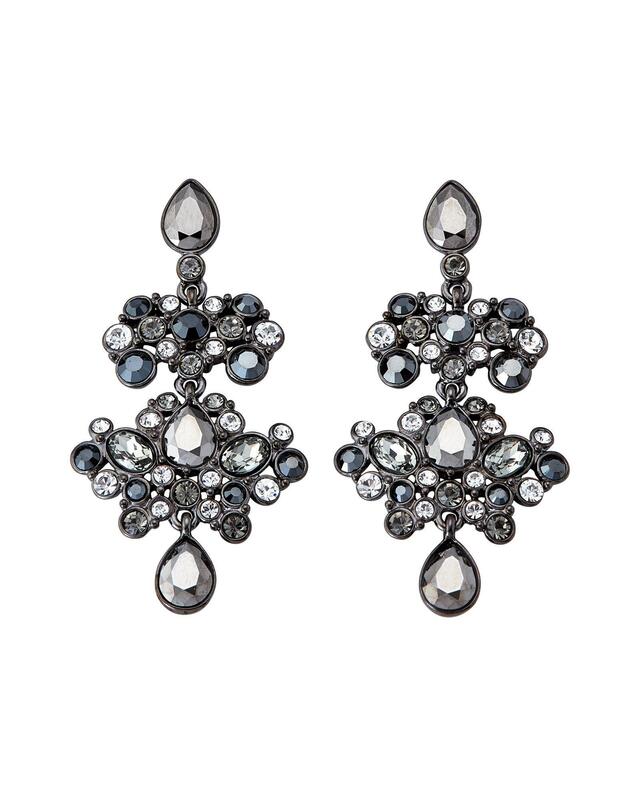 Hematite-Tone Base Metal.